Water and computers mix notoriously badly; that’s why shower faucets tend to be purely mechanical designs. Imagine my puzzlement when I got to my hotel in Stuttgart and discovered that someone had, obviously, spent a great deal of money and effort to make the bathroom shower more complicated than it needs to be. The controls are, at least, labeled. The top button is “on/off” which turns on the water. The temperature (helpfully stuck on Celsius instead of Freedomheit) is displayed on a little LED bar (not pictured). The buttons with the dots on the top and bottom are “hotter” and “cooler” and the button at the bottom switches the output between ‘tub spout’ and ‘shower head’; there’s no option for more/less water; that’s assumed to be 100% on or 0% off. There is a category of art that seems to seek to establish value by doing things the hard way. Turning shower faucets into a software problem seems to be a case of doing it the hard way. I’m waiting for someone who loves software to make an app-controlled showerhead, which encourages you to take your expensive $1000 iPhone X into the shower with you. Naturally, I searched Amazon for “app controlled shower faucet” but there don’t appear to be any. On the other hand, whatever controller gear the German shower faucet has to drive the LCD and feedback loop is pretty much what you already need – just add a WiFi interface and an app. How then do you peer your phone with your shower? Probably bluetooth. Just shoot me. I can think of two reasons for doing it, it could make life a lot easier for someone with weak hands, eg with arthritis, but by having the conntrols vertically at that height (assuming the complimentaries are at a handy height for a standing adult) you rule out anyone who has to sit to shower and younger children. And you say it doesn’t stop the temperature variations if someone else uses water so pah, . I hope there’s a backup battery, because generally if your power goes out you should still be able to run your water. Power out for a couple of hours? Run a bath and spend part of that time relaxing. Not something you can do if your bath requires electricity. It should be voice-controlled. That would be a neat problem for the programmer. Does “AAARRRGGGGHHH” mean “too not” or ” too cold”? I’ve spent some amount of time contemplating related problems. It started when I wanted to buy a flashlight and so many of them had added useless and unneeded features to the simple on-off functionality of the switch. I just want a flashlight. A simple, reliable, flashlight with a simple, efficient, reliable switch that turns the damn thing on when it is off, and off when it is on. Instead I get a switch that steps through settings. First it comes on fully bright, then it dims with a second push, and it blinks with a third, and only with a fourth activation can you turn it off. Baaaaaa… Bastards have ruined flashlights. I think I know why. You see all that extra useless functionality is a function of a tiny little chip. Yes, some very well educated and paid engineers had to design and perfect it. But once perfected it can be duplicated endlessly out of sand and tiny amounts of dopants. Which means it probably costs next to nothing. That’s the thing with electronics. Cost approach zero because they are barely part of the physical world. Add robotic assembly and adding electronic features is dirt cheap. Now imagine doing everything the shower electronics do with mechanical valves and brass pipes. With electronics they can neatly arrange the controls into a row. They could place the controls anywhere. Miles away if they desired. Electronic controls pipe runs to be immaterial to the function. It allows valves to be located anywhere convenient. Things can be arranged to meet any desire or priority. No doubt they will have motion activated shower heads. I’ve seen as many as thirty shower heads in a shower and each was individually controllable to the point they they could be programmed into sequences or made to ‘dance’ to music. All very entertaining. As I understand it the homeowner liked to play with his many shower heads and sequences but got bored after a time. Any more he uses just a half-dozen heads running down the middle of the ceiling because when it came down to it those few were most effective at getting the water to where it needed to go to get clean. He said he still turns on the programmability when the grand kids visit. Which brings us back to why do they add electronics. Because they can, and its dirt cheap. Should they? IMHO, no. Showers are well understood. A head, a couple at most, and controls enough to set temperature and volume. We know how to do that. And do it well. Hard to see what electronic brings except needless complication and reliability issues. I finally found my flashlight. On-off-on-off. Love it. My personal skepticism is related to automotive controls. How is a touchscreen slider an improvement in any way over a temperature dial or volume knob? I think Teslas are pretty neat cars, but their total buy in to this ethos is a turnoff. And if Bosch has anyting to say, throw IoT in everything as well. Poweroutage and the modern toilet: our departments standing-up-toilets are flushed by IR senors. No power, no flushing and much stinking. @bmiller, #6: these days, a clutch pedal is practically an anti-theft device. So yay for the standard transmission! @Tabby Lavalamp, #2: yeah, that power thing… I live way out in the sticks and that’s actually an issue. If the power goes out, we have no water (because well pumps usually run on electricity, and our well is awfully deep for a hand pump). I actually go around and look for things that will run with no power, because the power goes out an awful lot here. You can pretty much count on it going out any time it rains or snows. I can’t quite afford to go solar although I would dearly love to do so. 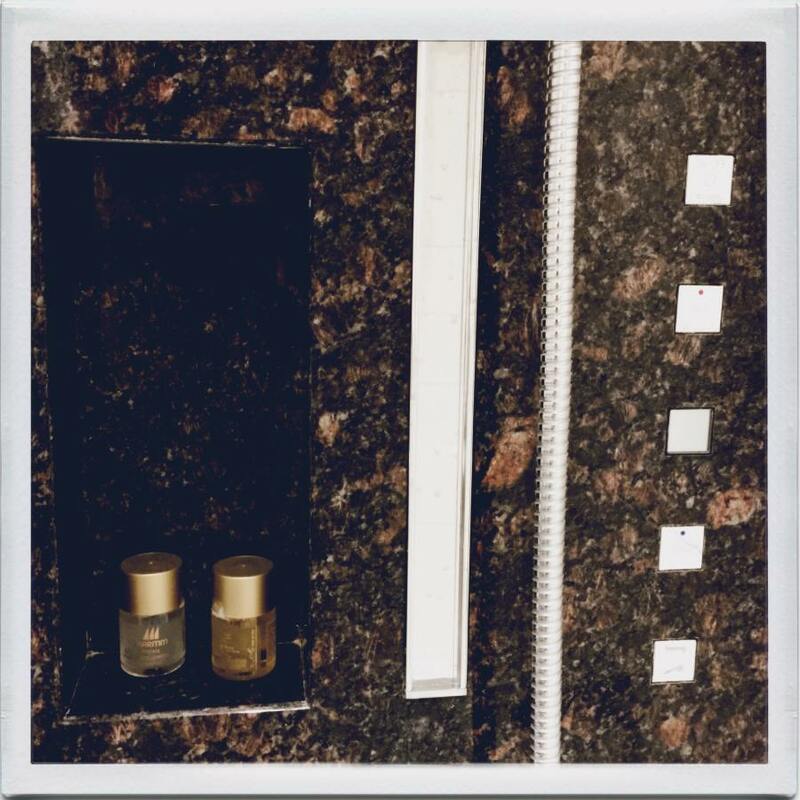 I guess doodads like fancy shower controls are fun and entertaining for a lot of people, and maybe it makes them feel like the price they are paying for their room is worth it if they get something cool like that instead of a normal set up. Most likely the hotel does not have the same concerns about the power going out that I do. I don’t know if it is an exclusively German mindset though there is a German word for it (as there so often is): “verschlimmbesserung“: an “improvement” that is nothing of the sort. Fancy water control devices always seem to go out of production (and the spare parts run out) just when they crap themselves during a guest rush. Half inch faucets will be the last human invention to go out of production. Bonuses of electronic control: can turn off water when no-one is on the shower. A caravan park proprietor I once spoke with said that some punters are particularly adept at leaving taps running on low until the hot water ran out. (A government funded efficiency “expert” had just removed all his natural gas fired HWS heaters and replaced them with heat pump storage devices.) They would then ring up reception at 2am and complain when the heat pump was keeping them awake. His solution was to reinstall instant heaters that didn’t heat the water unless the flow rate was high. I got a nearly new commercial heat pump tank for a fraction of its new price. It has a timer now that prevents it running late at night. A possible use for app controlled showers is to squirt your sibling when they go to use the sink in the bathroom. Future iphones will be waterproof to 100m, just like wrist watches once claimed to be. Selfies (soapies) will never be the same again. Having your own private water supply tank with a 1″ pipe down the hill to the house makes shower temp fluctuations a thing of the past. I don’t see it as confusing, merely as lacking some functionality (flow rate control). My personal beef with other’s showers is when they have low-flow roses attached, resulting in needle-jets which I find unpleasant and unsatisfying. It isn’t people in other households that affect the supply to our shower, it’s anyone else in the house using a tap. I have long hair and I’ve yet to use a low-flow head that will rinse my hair in a reasonable amount of time. I don’t want to spend two minutes rinsing the shampoo out of my hair, another two minutes on the second shampoo rinse, and another two on rinsing the conditioner out. Showers are supposed to be quick. Jazzlet @12, and the 1″ pipe assures that there’s little effect on shower temp when someone else uses water in the house. Hot and cold pressure drop at the same tiny rate so showers aren’t affected much. I have another minor technical issue: I have no idea what the correct temperature is for me in actual quantifiable units. It’s not even a constant temperature. So that’s useless information to display. And since this techshower doesn’t even avoid the scalding/freezing issue I think I’ll stick to the old style shower controls. At least I know those won’t break if I reflexively slam them shut to avoid being boiled alive. Presumably that depends on the user. Which is why every hotel guest will be asked to spend thirty minutes standing in their shower while the voice recognition training software blasts them with different temperatures and pressures to record the indviual responses. Of course if you don’t properly enunciate your tortured screams you might have to repeat the procedure. Naughty words shall be punished by a blast of freezing water (causing you to open your mouth in shock) and a generous squirt of liquid soap (extra caustic) at face level. Luckily anyone training their shower for temperature will also inadvertently be training it to recognise their repertoire of swear-words. lorn touches on the probable reason for going to electronics: cost. I think a lot of people have no idea how truly cheap electronics are these days: small microcontrollers that sell for less than a penny in even small quantities (a few hundred) can replace dollars worth of mechanical parts. The ability to do sophisticated calculations can also reduce the cost of other parts, for example by replacing an expensive sensor with a cheap one that that uses microcontroller calculations to compensate for its deficiencies. In this particular case there’s another characteristic that may be a clue: the removal of the ability to set water pressure/flow. I can imagine ways in which this system would allow you to replace two globe valves with one or two cheaper and lower-maintenance ball valves which might easily save far more than the cost of the electronics, controls, sensors, actuators and waterproof packaging. Also, a smooth panel with five buttons seems clearly easier and faster to clean than a typical spigot system. And then of course there are whole-system features that can come along with this sort of automation, such as being able to monitor the currently selected state of the showers, current temperatures and the like. I can imagine situations where that could save on operation and maintence costs as well, such as having better information for detecting leaks, determining when to shut down and start heaters, and so on. The funniest part about the darned thing is that it still doesn’t address two basic problems of showers: [feedback loop adjustment time and when] you switch from the tub faucet to the overhead, you still get a blast of cool water down your back that was in the overhead pipe. That doesn’t seem odd at all to me: it sounds like the “why don’t we have flying cars” complaint. We do in fact have flying cars; they’re just not in common use for a whole host of good reasons involving both physics and economics. As you point out, we do have ways of solving the shower problems you describe, but they’re quite incompatible with the idea of producing cheaper showers. Here’s a thing to remember about engineering: it’s more often about doing something cheaper than it is about doing something better, because paying less for something is one of the most popular things you can give consumers.